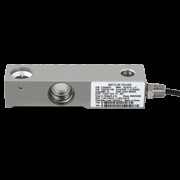 New load cells from METTLER TOLEDO provide cost-effective weighing with superior accuracy and compliance to common industrial standards. The new SLB215 and SLB415 nickel-plated steel load cells with hermetic sealing offer the same performance and reliability as their more expensive stainless-steel counterparts. 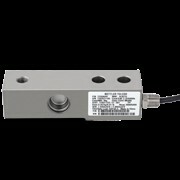 Both the SLB215 and theSLB415 load cells are made from nickel-plated steel and are hermetically sealed by laser welding. This type of sealing is normally available only on higher-end full stainless steel models. The high-quality sealing protects the sensitive load cell components from moisture and dust for the best stability and measuring performance. 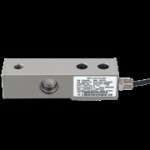 The SLB415 load cell has a blind hole to hold a rocker pin. This enables optimal force introduction to ensure the best accuracy in installations with temperature changes and structural deformation. 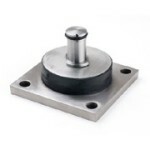 It is also commonly used for installations with more than one load cell. METTLER TOLEDO offers a range of accessories with a rocker pin as force introduction. The SLB215 has a threaded hole for load introduction to fix both ends of the load cell to the machine or instrument. The advantage is that the entire construction is stiff and the force introduction can’t come off, but it is limited in thermal expansions and structural deformations. 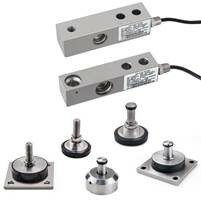 It can also be used for budget installations in which only one load cell is installed as a hanging scale. METTLER TOLEDO offers a range of accessories with threaded level feet and other mounting devices. 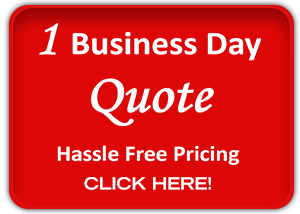 TOLEDO CAROLINA can help you find the right load cell for your weighing needs.